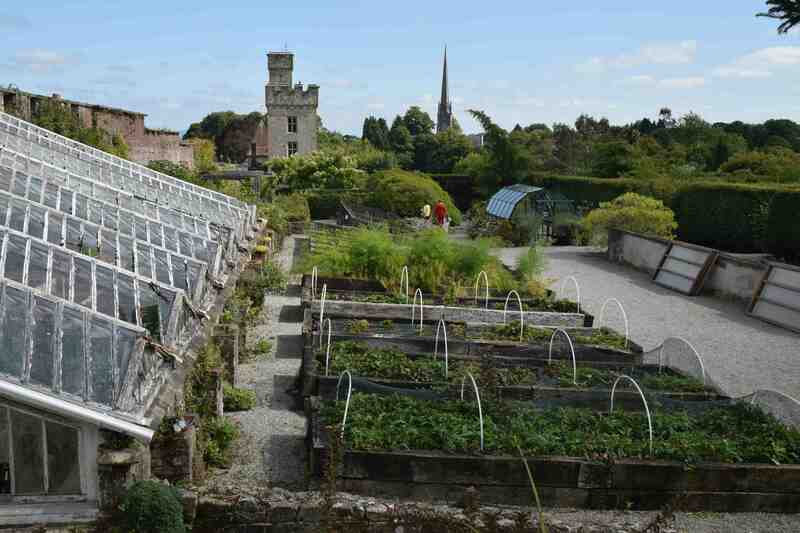 There was so much to see at Lismore Castle and in the upper part of the walled garden were areas dedicated to growing crops. 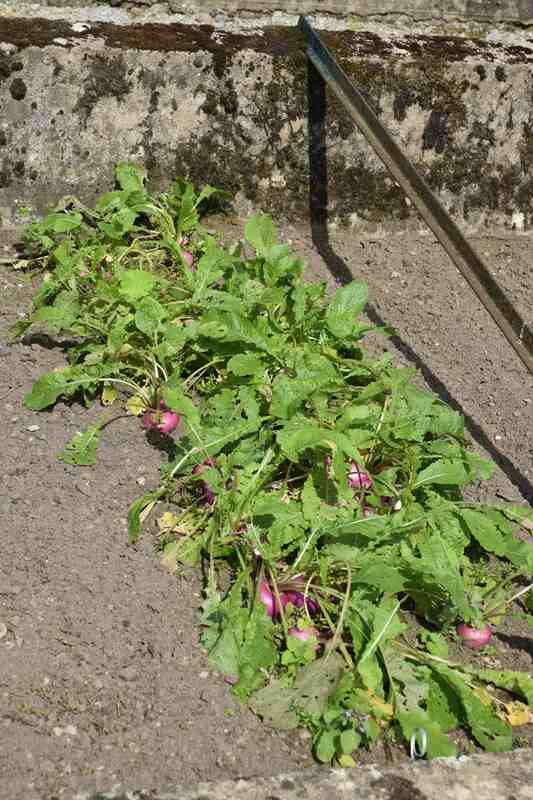 In the furthest corner from the entrance was a ‘yard’ with frames where all manner of fruit and veg was being grown including strawberries (sensibly under netting) and all sorts of salads as well as these turnips (below). But perhaps the highlight of this area is a small, lean-to greenhouse range designed by Paxton. It is very unusual but obviously needs a bit of work -which I am sure it will get. All the vegetables looked in great condition with not a weed in sight. 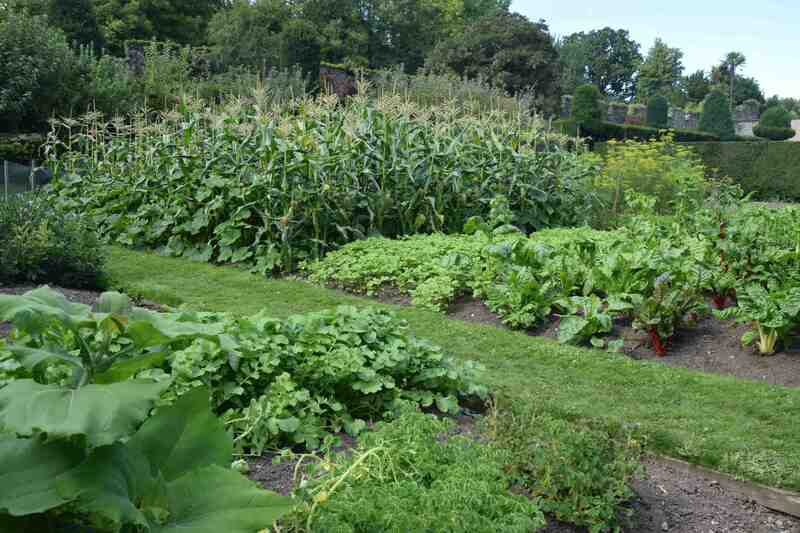 But I was pleased to see that their yacon (extreme front left) was a bit smaller than mine – made up for their magnificent corn that would put mine in the shade – literally!